Nothing denotes ‘belonging’ as much as wearing the uniform of the School. The refreshed BGS academic uniform, available for the beginning of 2019, marks a new chapter in our 136-year history. We wanted a more consistent look to heighten the boys’ sense of belonging across our single-campus School from ELC to VCE. The brief required a contemporary look that enabled the boys to undertake their many and varied daily activities while feeling smart and comfortable. The new uniform had to strengthen our visibility in the community. And of course it had to retain our strong connections to the past. Every School stakeholder group was involved in the review process – students, parents, staff, Old Boys and School Council members. Jonathan Ward was appointed to lead the review. The former executive designer for R. M. Williams is known for his versatility, design sense and understanding of how school uniforms work. Jonathan worked closely with the Uniform Review Steering Committee to create new design proposals. Stakeholders then discussed the proposals and agreed on the final design. The new design celebrates quality, longevity, innovation and design flair. The design is divided into three ranges: a play-based uniform for ELC, a functional and contemporary Prep to Year 10 uniform, and a distinctive uniform for the Year 11 and 12 senior boys. These ranges represent the boys’ development and Rite of Passage through their school years. 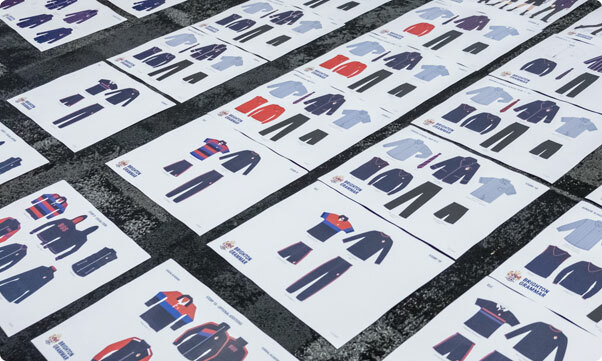 The uniform includes layering and optional pieces that give the boys choices. The BGS colours (dark/navy blue and red) remain a key feature of the new design. The design has much greater consistency throughout the School, with all boys from Prep to Year 10 wearing the same uniform (with a change of tie at Year 7). This range features blue-striped shirting with modern, flat-front charcoal trouser and short options, and optional knitwear. The blazer features a new red/white/blue braid that complements the modernised crest. The introduction of a new striped blazer for Years 11 and 12 ensures that the senior boys are easily recognisable as leaders within the School and the wider community. This blazer will be presented to boys by the School at the conclusion of their Rites of Passage program towards the end of Year 10. Overall, the new uniform features cuts and fits that are wearable, comfortable and versatile across a multitude of social and cultural factors. It uses cutting-edge, performance-based fabrics that are durable and present smartly. It is also more cost-effective for parents than the previous uniform. Why are we introducing a new academic uniform? We felt that a new uniform, with a more consistent design from ELC to VCE, was required to reflect BGS as a single-campus school. Implementing a consistent look across the School also means uniform cost savings for parents. A key criterion in the brief was to provide an academic uniform that has a contemporary feel, is flexible and comfortable to wear, and is better suited to the school environment and to boys’ learning. The brief also stipulated that the new uniform design reflects the values and traditions of BGS. How different is the new uniform? The BGS colours (dark/navy blue and red) remain a key feature of the new academic uniform. A major difference is the increased consistency of design throughout the School. The new ELC uniform is more play-based; Prep to Year 10 students will all wear the same uniform (with a change of tie at Year 7); and VCE students (Years 11 and 12) will have a special blazer, shirt, socks and tie to mark their final years at BGS. The Senior Blazer will be presented to boys by the School at the conclusion of their Rites of Passage program towards the end of Year 10. Shorts and pants will be the same for all students from Prep to VCE, making the uniform more cost-effective. Other changes include the use of better quality fabrics, and more comfortable and age-appropriate fit. The new uniform is on display in the BGS Uniform Shop for the remainder of the year or you can see it in the video above. Has the School considered the cost impact on families? Yes, this issue has been at the forefront of the Uniform Review Steering Committee’s work. A two-year transition period between 2019, when the uniform is introduced, and 2021, when the new uniform will be compulsory, will enable families to plan and prepare. In addition, the current blazer and jumper will continue to be available at a discount of 50% to assist families in transitioning. Current shirts, socks and ties will also be available at a 50% discount. In the long run, the cost to parents will be significantly less, with students from Prep to Year 10 wearing the same uniform (apart from a change of tie at Year 7) and the Senior Blazer being presented to the boys by the School. The pricing of the new uniform is in line with our previous prices (lower, in some cases), other schools and the general market for school uniforms. View the new price list. How will the new uniform be phased in? The new uniform will be ready for purchase from Noone on 7 December 2018, in time for the 2019 school. There will be a two-year transition period, with all students expected to be wearing the new uniform by the beginning of the 2021 school year. For more information about how this transition affects particular year levels, see below. I have a son/s at BGS already. How will this affect me? Your son can finish his schooling at BGS in his current academic uniform. Current Year 10 and 11 boys will be given the new Senior Blazer as part of the Rites of Passage program. They can choose to wear their new blazer OR their current blazer (although for certain occasions, they will be required to wear the new blazer). The new blazer can be worn with the current charcoal shorts or pants, socks and white shirt. Current Year 10 boys will need to purchase a new tie for 2019 and current Year 11s will be given a new tie for 2019 (as per current practice). Details will be sent soon via SchoolStream to current Year 10 and 11 boys and parents regarding fittings for the new Senior Blazer. It is strongly recommended that current Year 9 boys stay in their current academic uniform for Year 10 2019. The Senior Blazer will be given to Year 10 boys (2019) towards the end of 2019, at the conclusion of the Rites of Passage program, with the other elements of the new uniform to be purchased for Year 11 2020 as necessary. 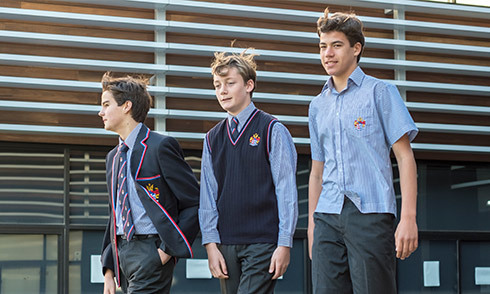 Although current Year 8 boys can use the two-year transition period, it is recommended that you purchase the new academic uniform for 2019 and 2020, noting that the new Senior Blazer (Year 11 and 12) will being given to the boys near the end of Year 10. We encourage you to either purchase the new academic uniform for 2019 or use the two-year transition period to your advantage. Boys currently in ELC and/or the Junior School. We encourage you to minimise uniform purchases for 2018, with a view to either purchasing the new academic uniform for 2019 or using the two-year transition period to your advantage. I am new to BGS in 2019. How will this impact me? Families new to BGS in 2019 will purchase the new academic uniform. Details regarding fittings will be available soon and will be communicated to new families via the BGS website and the BGS Admissions Office and can also be accessed via the BGS Uniform Shop. The BGS Uniform Shop will operate with extended hours in November, December and January to assist families in being ready for the 2019 school year. What about fittings for current families? Details regarding fittings will be available soon and will be communicated to current families via SchoolStream, the BGS website and the BGS Admissions Office; they can also be accessed via the BGS Uniform Shop. The Uniform Shop will operate with extended hours in November, December and January to assist families to be ready for the 2019 school year. What about the sport uniform? The initial focus of the uniform review has been the academic uniform. Now, a similar process is underway for the sports uniform. More information will be communicated in due course. Are there changes to blazer pocket embroidery? We are currently reviewing the policy regarding blazer pocket embroidery for Years 11 and 12. Further details will be available later in the year. Can students mix and match pieces from the old and new uniforms? During the two-year transition period (2019 and 2020), students may choose to wear either the current uniform or the new uniform. Mixing and matching of the old uniform and the new uniform is not permitted, except for some concessions for current Years 10 and 11 boys (see above). What happens to the old uniform after 2021? Noone Imagewear runs a program whereby outdated academic uniforms can be used by less privileged communities. More details about this program will be released soon. What about the Second-Hand Uniform Shop? During the two-year transition period, limited stocks of ‘old’ second-hand uniform items will still be available. After the transition period, stocks of ‘new’ second-hand uniform items will gradually increase. 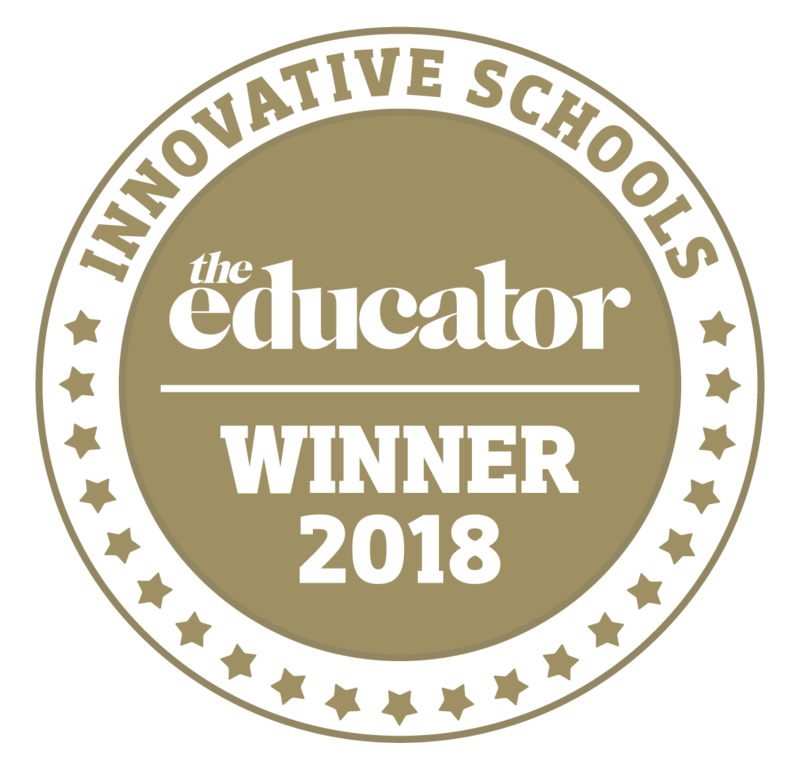 Please email us here: newuniform@brightongrammar.vic.edu.au. Visit for price lists, online orders, and second-hand uniform.